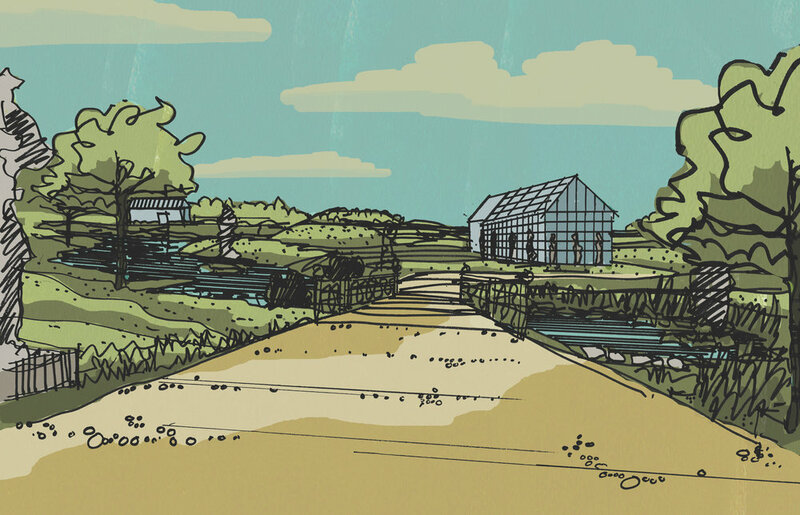 The Acreage Master Plan establishes an internationally recognized pollinator engagement center and sanctuary where a choreographed series of spaces and programs create transcendent experiences with art, science, and the natural world. 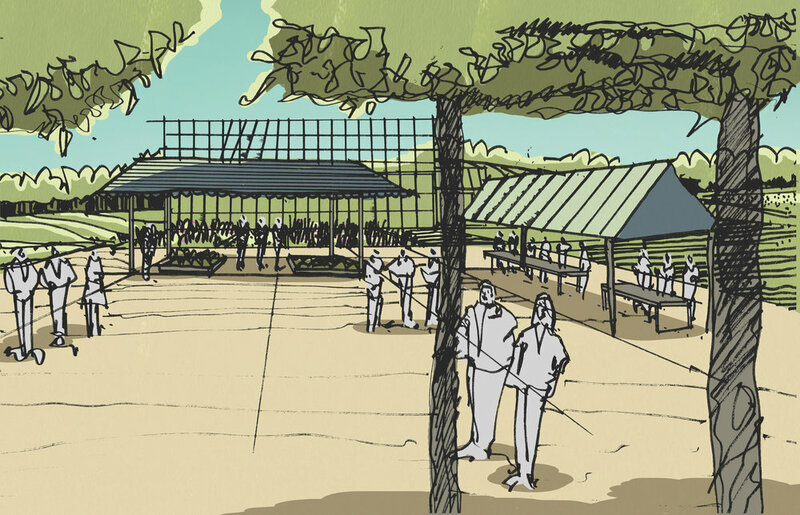 The project prescribes a public-private partnership between the Horst M. Rechelbacher Foundation and the University of Minnesota to develop interactive on-site programming, targeted education programs and materials, and create a series of outdoor spaces, classrooms, and laboratories. The planning process involved the creation of a stakeholder group and a sequential series of vision sessions and development meetings. Phase I of the plan is currently underway. 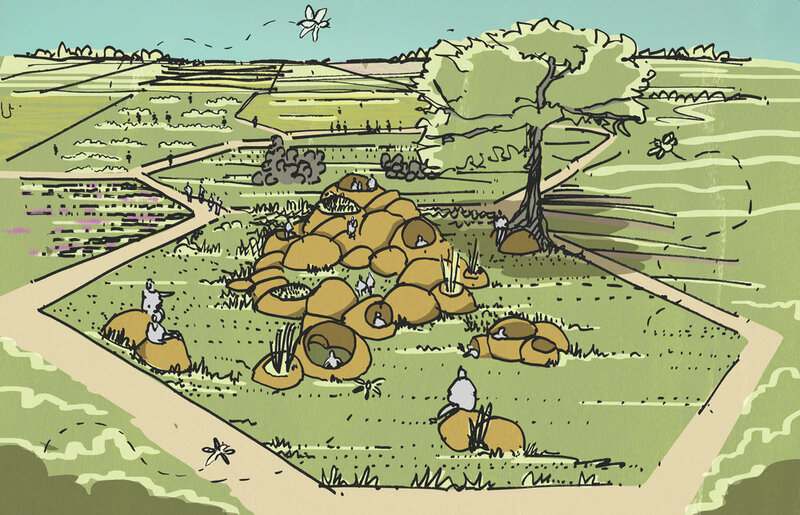 The site will be a living microcosmic vision of a future where human landscape mosaics support diverse populations of pollinators and other wildlife. The site will be a world renowned center for pollinator research and a place for transcendent experiences with art, science, and the natural world. The unique public-private partnership between the HMR Foundation and the University of Minnesota will allow the site to be an interactive learning laboratory and production facility that will generate innovative new approaches and products to halt and reverse the global decline in pollinator populations. This will be a fulfillment of Horst’s nascent vision for the site, accomplished through interdisciplinary collaboration, applied educational programming, and the opening of the human mind, body, and spirit. Conceptual drawing of hive play areas. Conceptual drawing of market area. Conceptual drawing of the entrance to theNorth Campus. Conceptual drawing of research fields and monuments.